Details Diesel DZ4208 gents chronograph Advanced watch. Black dial with black sub eyes, high light of red and oversized 2hr,3hr and 4hr. 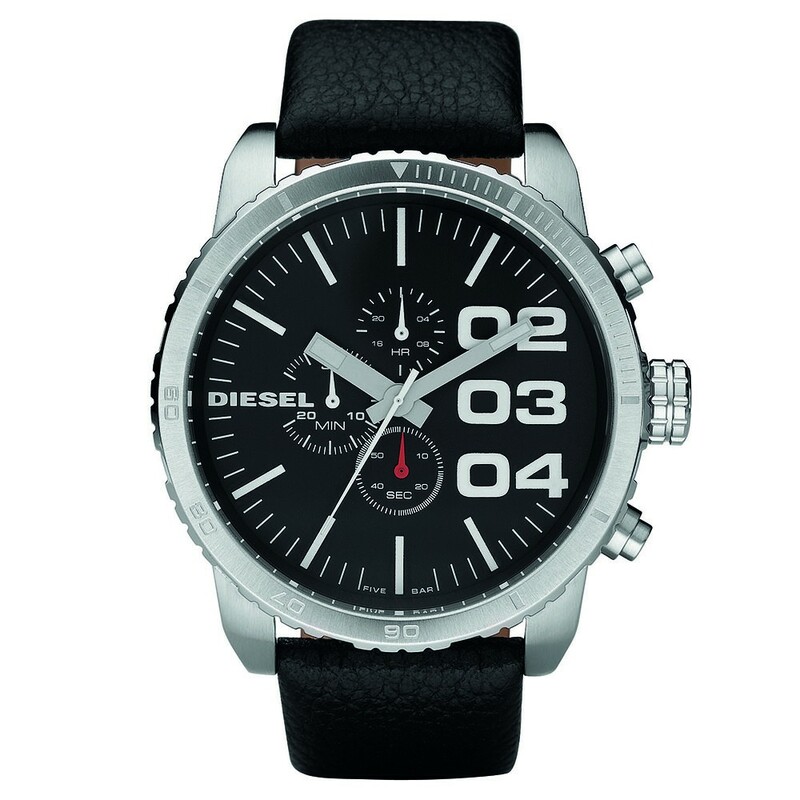 Brushed and polished stainless steel case, black leather strap with pin and buckle fastener.